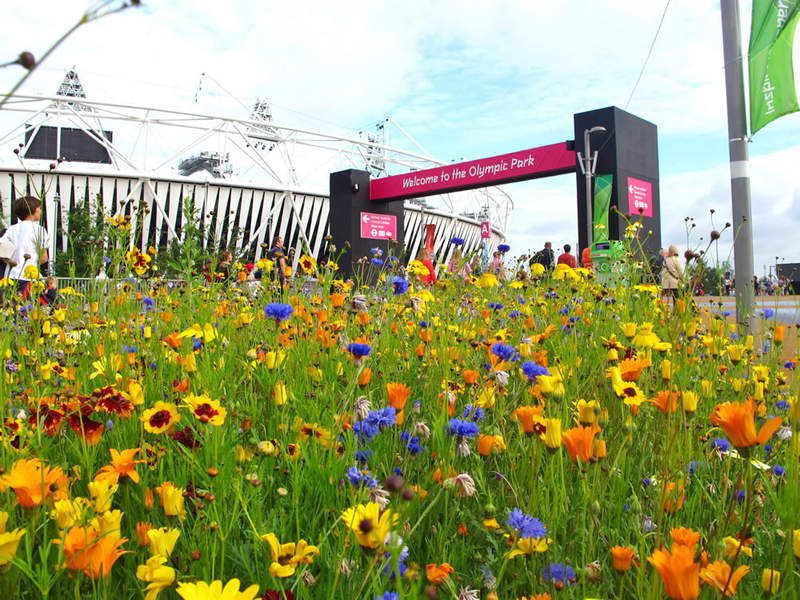 Craig Vitulli, St Mary’s Grounds and Gardens Manager, approached Pictorial Meadows to design an area using seed mixes. 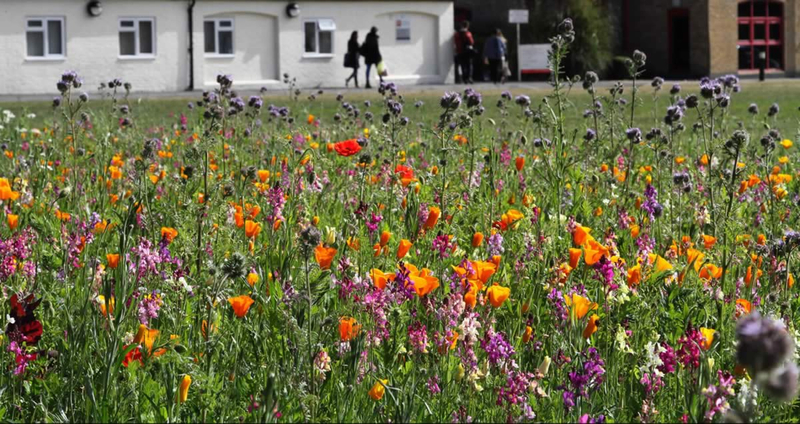 He had seen the work previously carried out in Richmond Borough Parks with Pictorial Meadows and wanted to bring that look to St Mary’s. 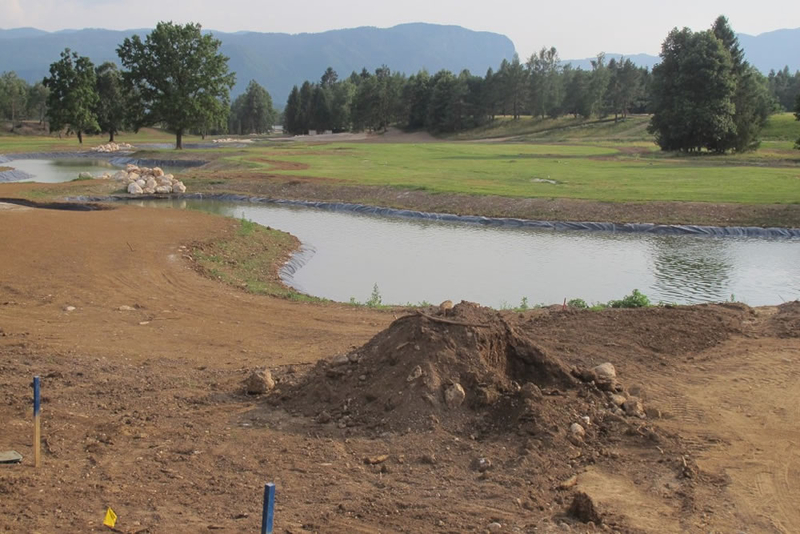 Pictorial Meadows were invited to carry out a survey of Bled Golf Course in Slovenia which was undergoing a complete re-design undertaken by a specialist golf course architect. 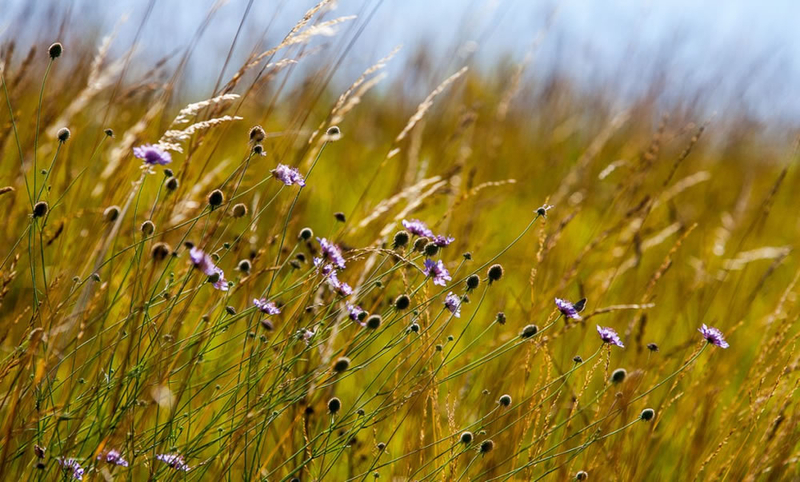 The course is situated in the foothills of the Alps in an area of outstanding natural beauty, much of it untouched by development or cultivation for centuries. 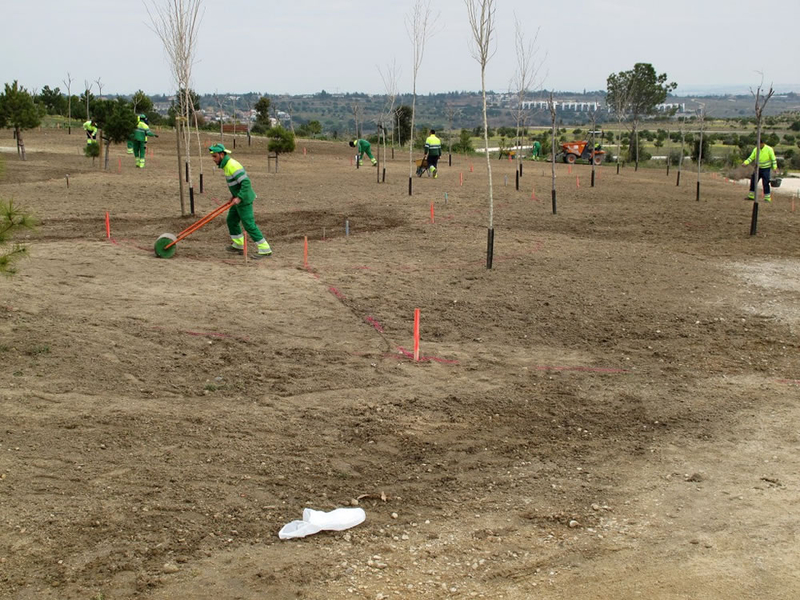 We spent 3 days on site recording existing plant communities and completing detailed surveys of the topography and soil profiles which exist across the landscape. 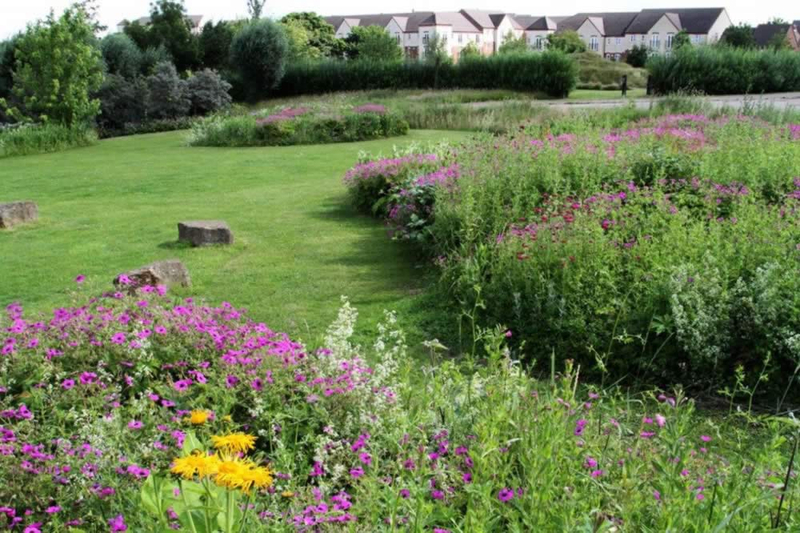 The brief from the owner was to use as many indigenous species, together with complimentary introduced species, in order to create as much colour and interest in the newly developed ‘rough’ areas on the course. 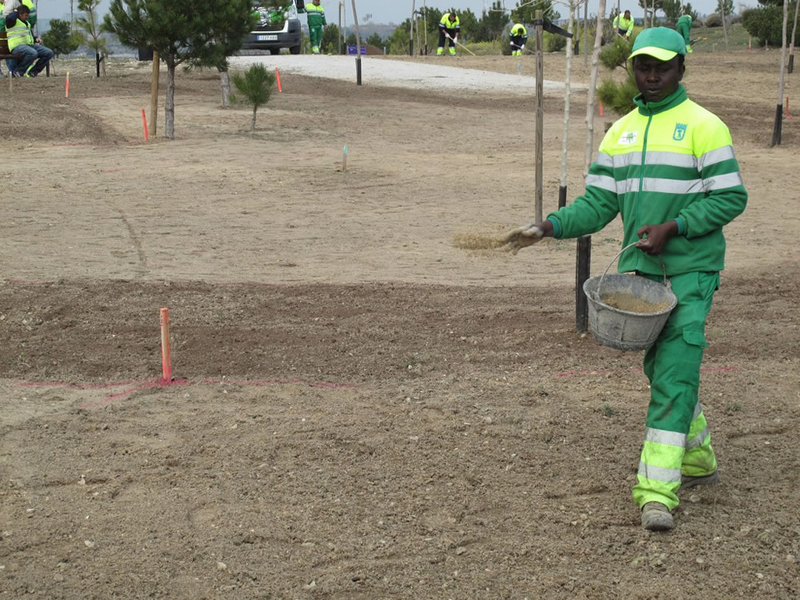 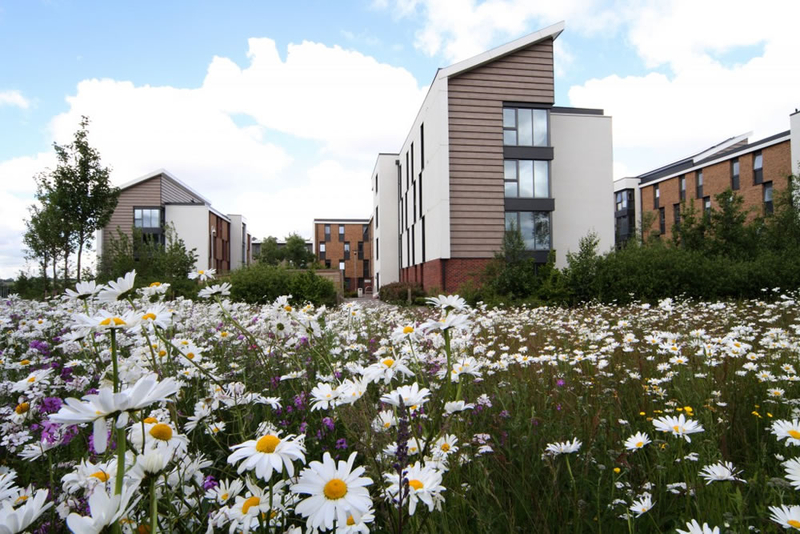 A full design and plant specification for the areas identified during the survey was produced and submitted during winter 2015, including the scope of work to be carried out be our specialist teams in preparing the areas and carrying out all planting and seeding. 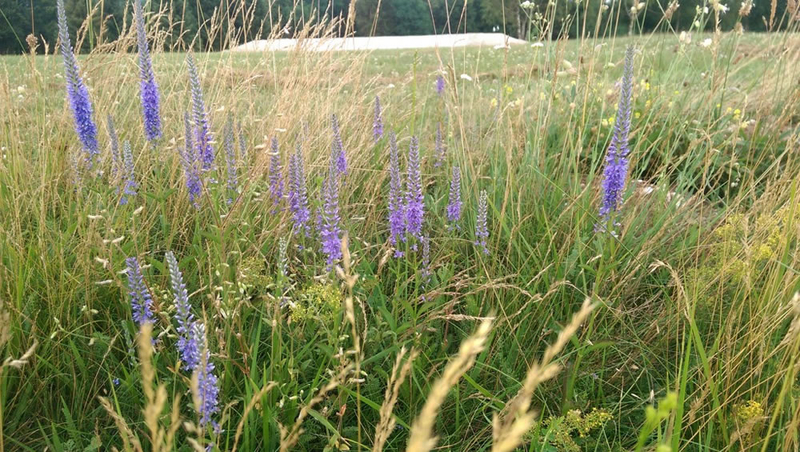 We are currently working on golf course projects in Scotland and Poland. 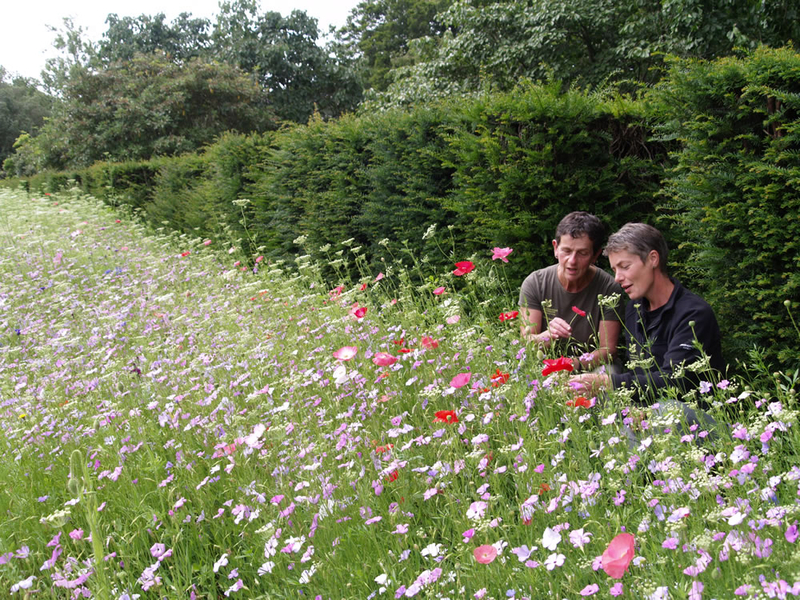 If you have similar projects on which you would wish to engage Pictorial Meadows please click below to contact us. 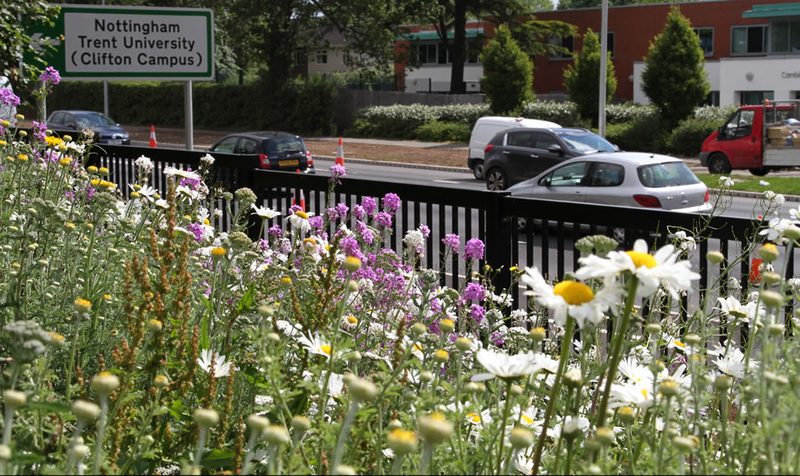 Highways works outside the University allowed an opportunity to improve the front of Clifton Campus with new environmental works. 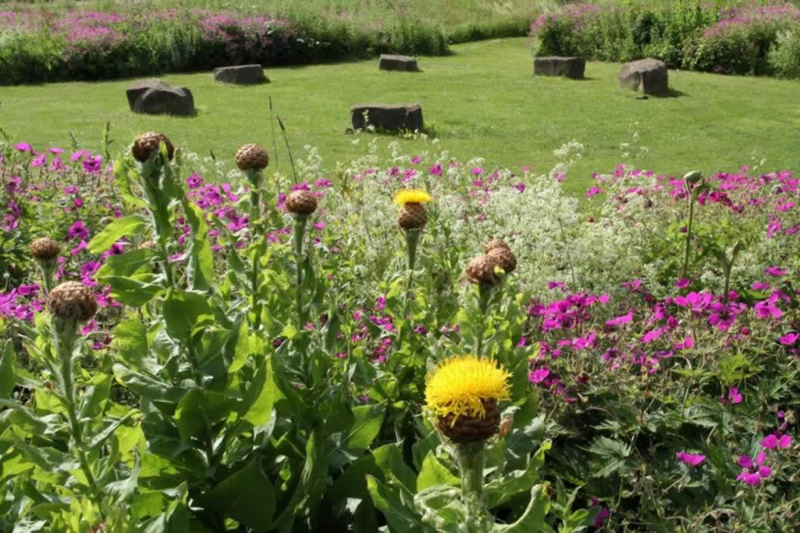 The meadows now provide colourful displays in the summer which can be cut back at the end of the summer term and be ready to flower again for the new academic year in Sept. PM were also engaged on a 3 year maintenance programme to ensure that the displays would always look their best. 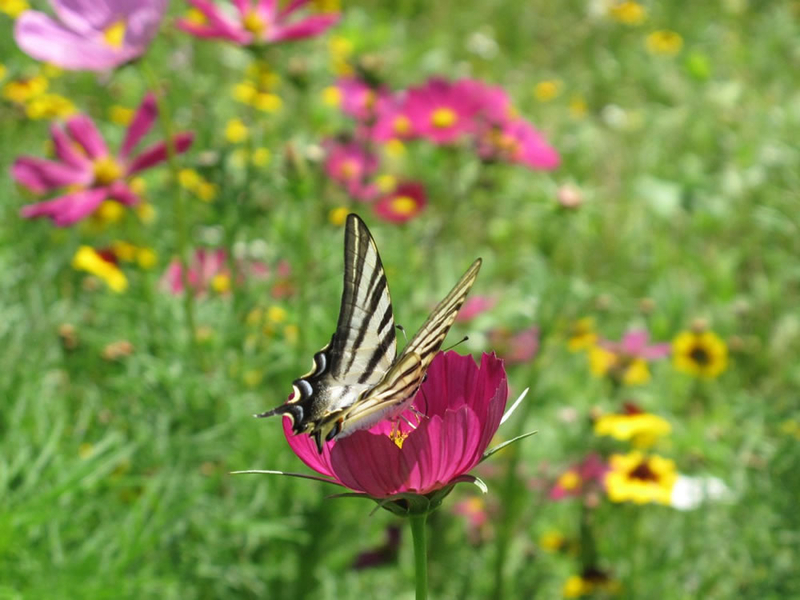 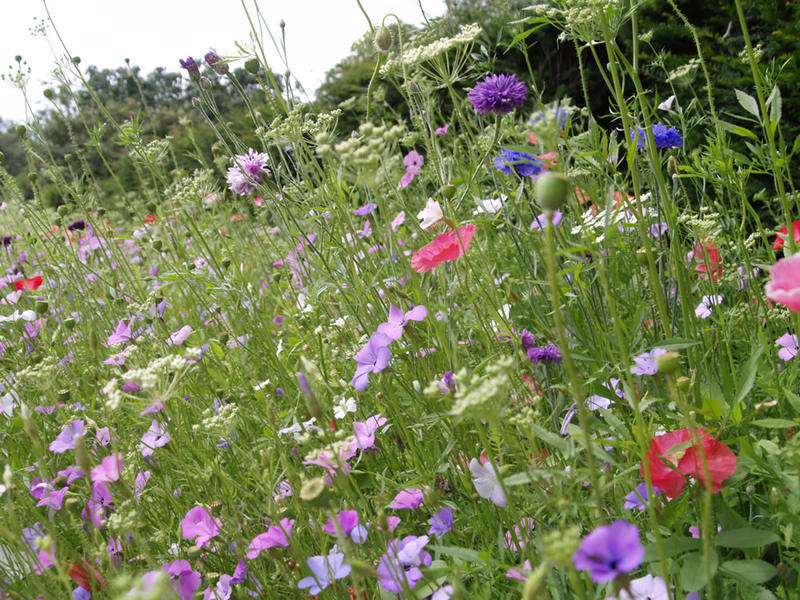 “Pictorial Meadows have a strong reputation in the delivery of quality wildflower seed mixes to meet client needs. 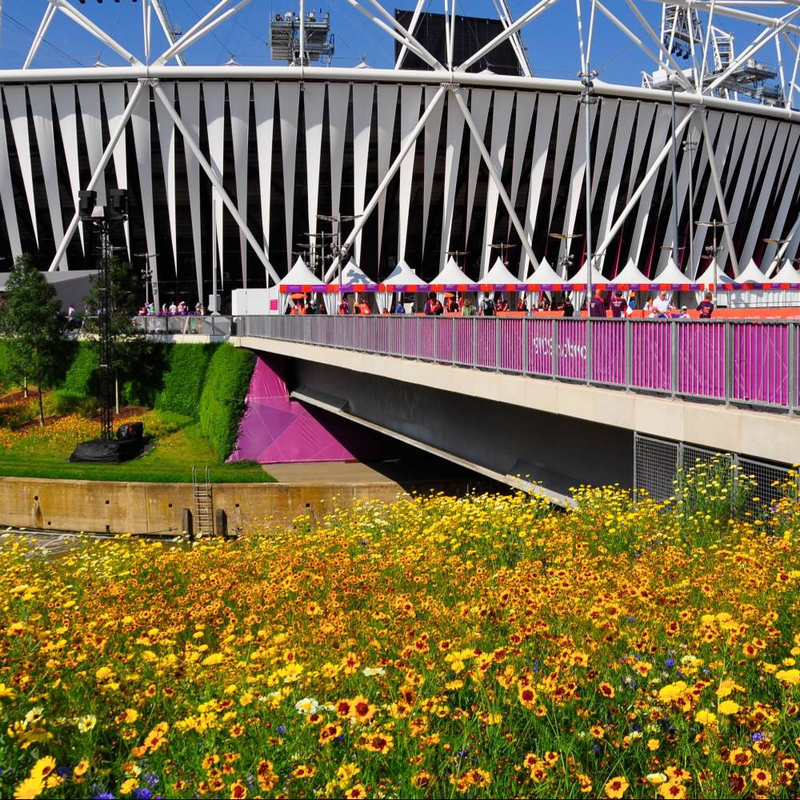 The landscape development for the 2012 Olympics further reinforced this reputation with wildflower mixes that not only added great biodiversity value but also visually enhanced the environment of the park”. 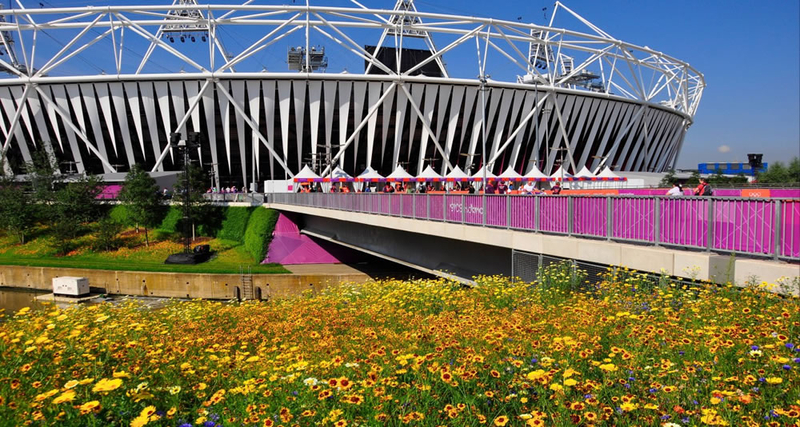 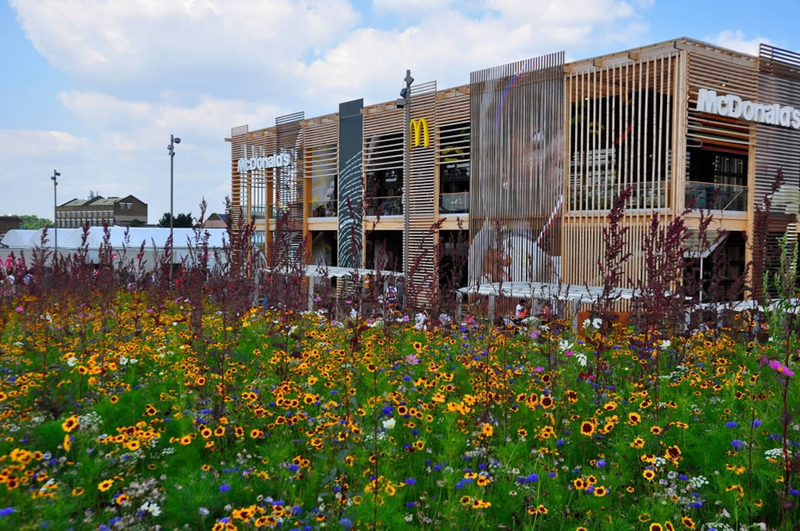 “Following our own site visit to the Olympic Park and as part of our own site developments we felt that Pictorial Meadows were best placed to meet the needs of our own landscape aspirations with it’s range of seed mixes”. 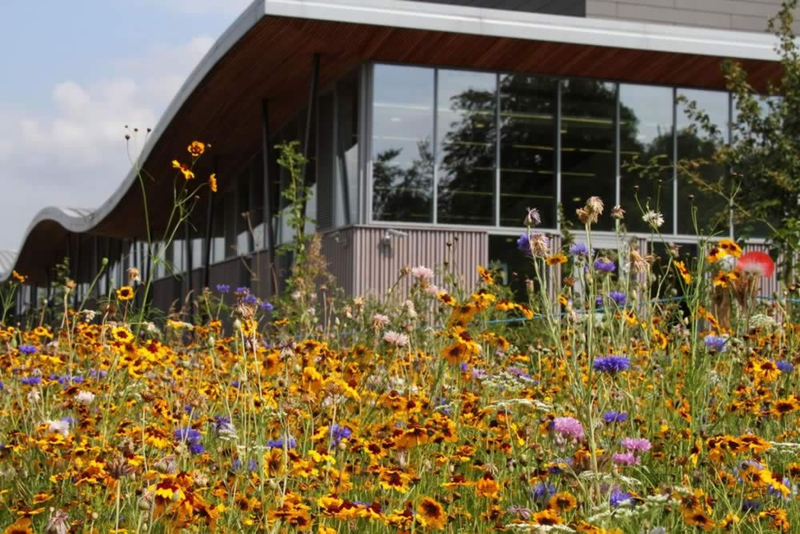 Amongst many differing styles of naturalistic planting the seed sown perennial meadows stretching across the 4 hectares of gateway and play entrance zone of Stonehirst exemplify how stunning, high impact meadows can completely replace much higher maintained herbaceous or formal bedding. 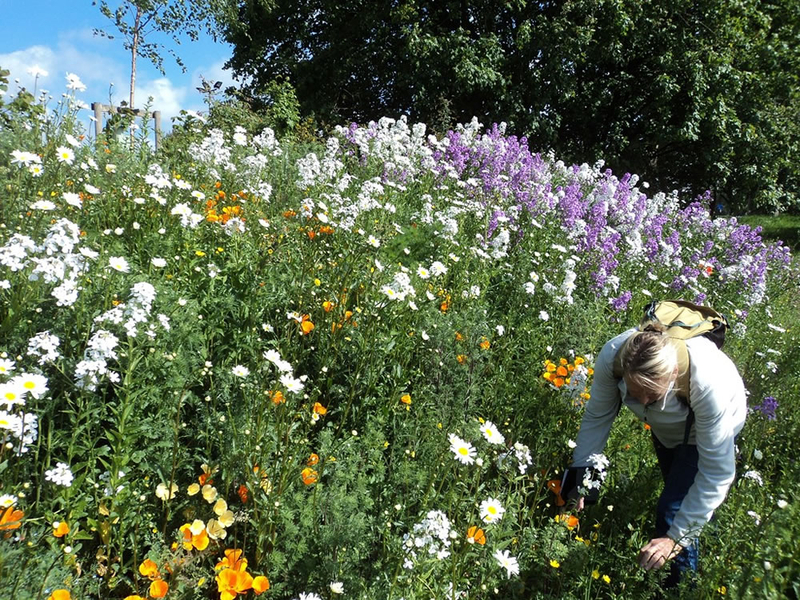 Now in its 12th season the scheme has got better year on year providing flowering from early spring through to very late autumn. 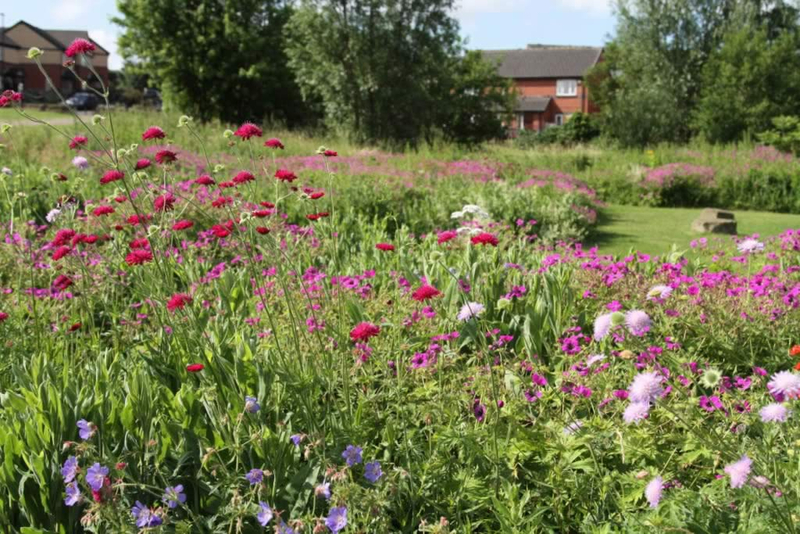 The stunning but robust landscape is picked out by differential mowing and managed by one spring targeted herbicide spray and one autumn cut and collect a year. 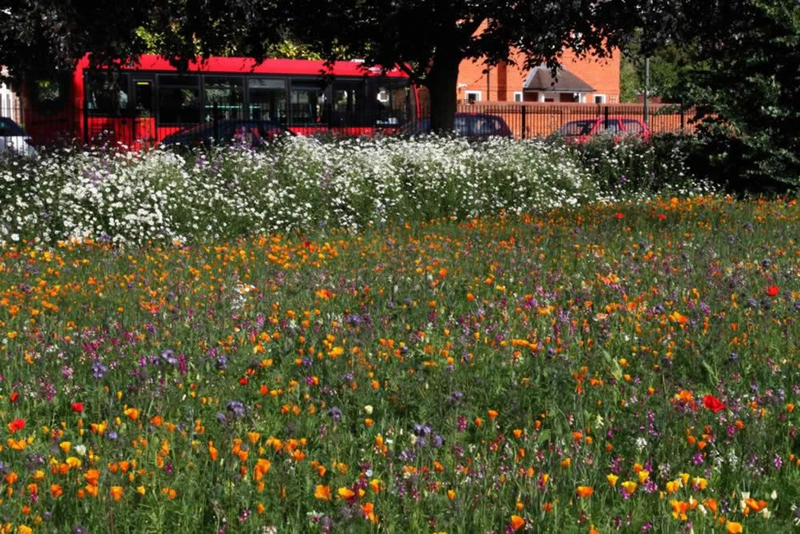 Pictorial Meadows were commissioned to initially sow annual meadows in various parks throughout the Borough (Richmond and Twickenham) but after three years they decided they wanted more permanent meadows. 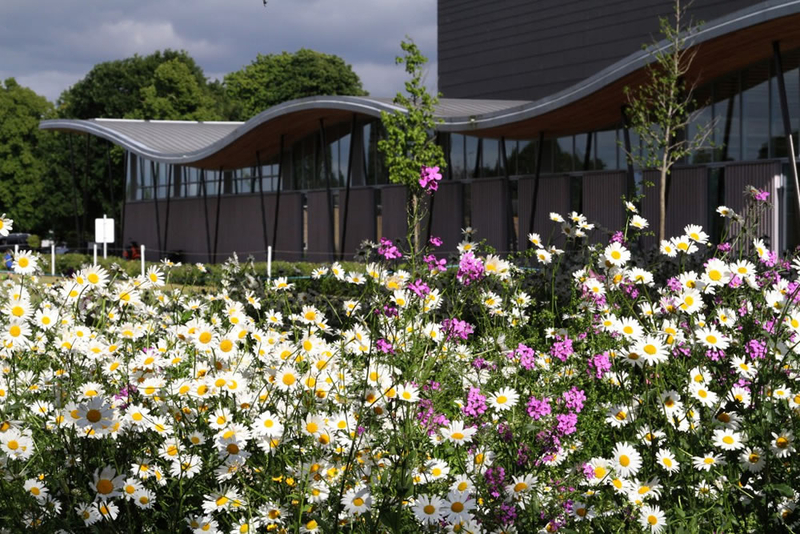 We then moved into sowing perennial seed mixes and laying our new PM Turf product to provide beautiful but sustainable features which have proved a big success with visitors to the parks. 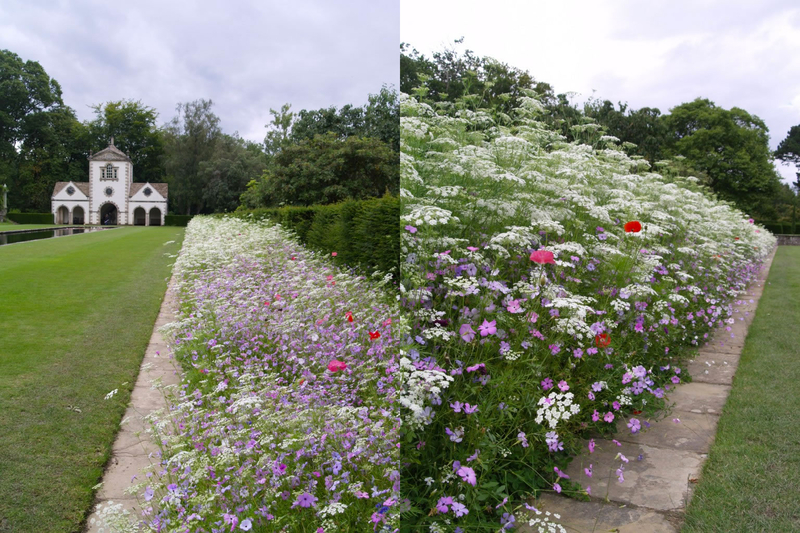 ‘I’ve just come back from Crane Park and it is looking fab!’, says Yvonne Kelleher, Parks Development Officer. 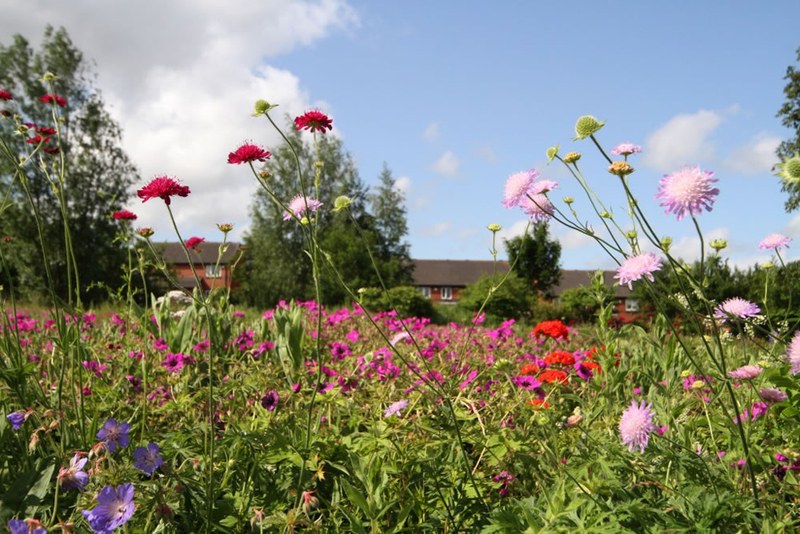 “Pictorial Meadows’ annual meadows were a great success with our parks users and residents, but after sowing them for 3 consecutive years we decided to make the transition to more sustainable perennial meadows at a few key sites. 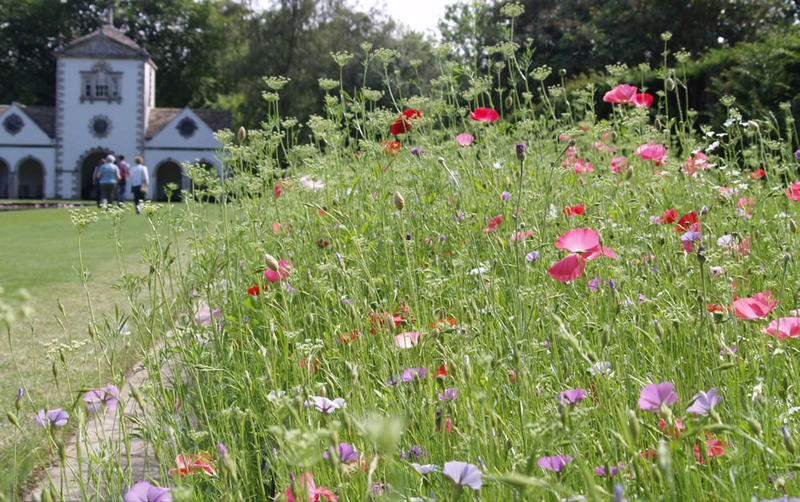 We are currently establishing four of Pictorial Meadows perennial meadows from seed and a further three from their PMTurf. 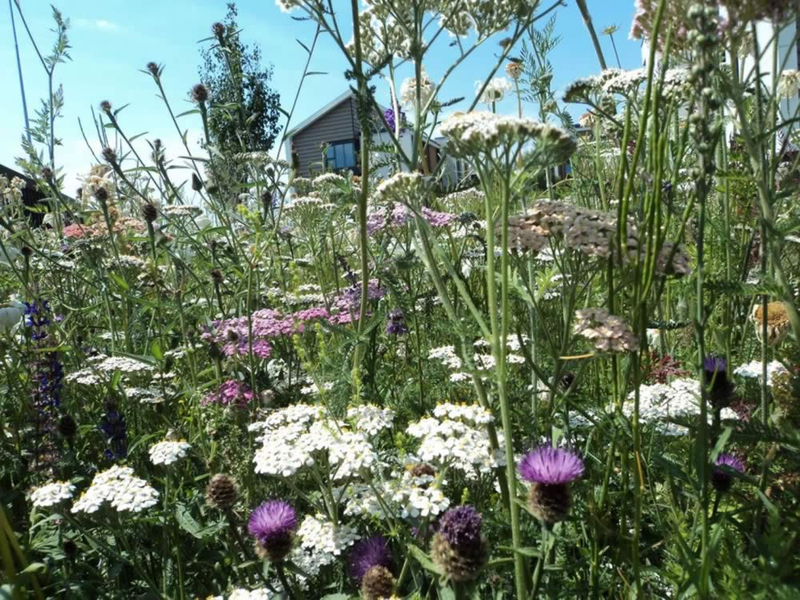 Composed of a mixture of native and non-native species, we hope these will provide colour and interest for many years as well as providing nectar, pollen and seed heads for the wildlife”.